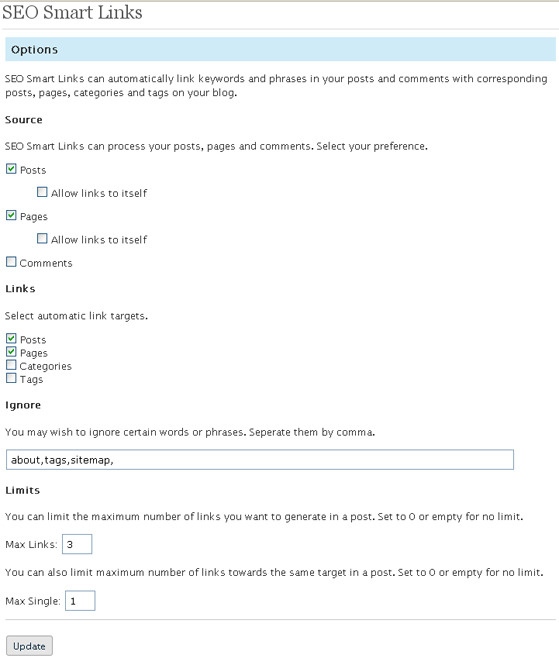 SEO Smart Links – Internal links ie., links to posts or keywords with your own blog can be good for SEO, this plugin automates this process by creating internal links from keywords and phrases in your posts and comments with corresponding posts, pages, categories and tags on your blog, thereby increasing the number of internal links within your blog. You can also set up your own keywords and set of matching URLs and also set nofollow attribute and open links in new window right from the plugins options page. Change your options from the plugins options page. 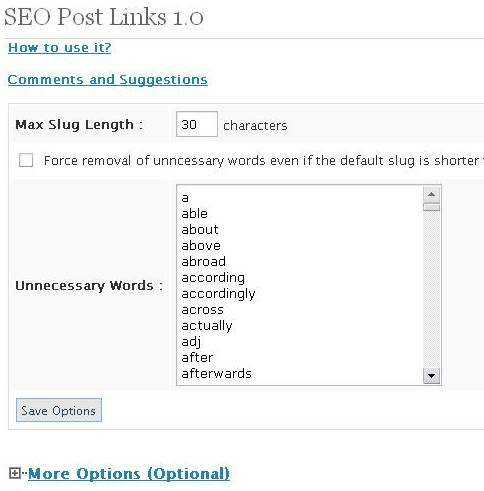 SEO Post Links – Post slug ie, the words in the url, which play a vital role in SEO, and you don’t want to waste this space with common English words but with your keywords that you want to target.SEO Post Link is a wordpress plugin that gives you control on how the URL looks. You can also edit post slug very easily from the permalink below the Post Title. 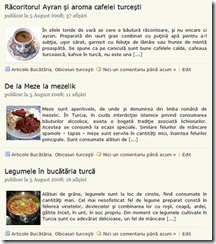 Control how long you want your URL to be without comprising with the post title. 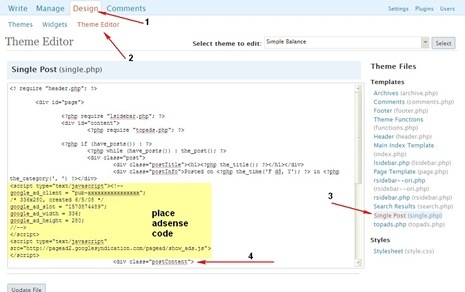 Forcefully remove words from a URL that are shorter than the length specified by you in the plugin options. Automatically filter out unnecessary words, ( Words can be added or removed from the list anytime ). Automatically remove words that are shorter than say 4 or 5 characters. Note : This plugin makes is even easier for beginners. thank you for this post! find it useful! well I’m using SEO by yoast and its pretty good also!